• By encouraging basset owners to PROMOTE and NOT EXPLOIT the basset hound breed. • By raising awareness in the public and basset hound owners of the principles of responsible dog ownership and providing education in the characteristics of the basset hound breed to prevent misunderstandings which can cause a basset to end up at a shelter or in rescue. • By organizing American Kennel Club (AKC) sanctioned matches and basset hound specialty shows on an annual basis. 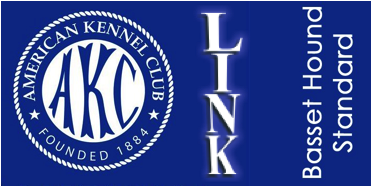 These events focus on conformation but may include other AKC events such as obedience, rally, etc. Competition at the specialty is for points leading towards championship titles and other titles awarded and described by the AKC. • By encouraging basset competition in conformation, obedience, tracking, field trials, rally, agility and other events and to offer prizes for such competition. • By encouraging basset hound owners and especially all basset hound breeders to recognize the well accepted AKC Standard for Basset Hounds for the conformation of basset hounds. 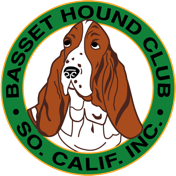 If breeders like those who are members of the BHCSC, other local basset hound clubs and the Basset Hound Club of America didn’t continue producing litters our breed as we know and love it would soon disappear. Our club was founded to help protect and promote our wonderful breed. Our club's purpose is what the club is all about.